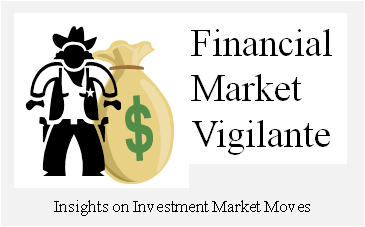 Financial Market Vigilante: Stock Market in 2014 - Can the Run Continue? At the end of 2008 the market capitalization of the 30 individual DOW component companies was $3T at the depth of the financial crisis. The Fed balance sheet at the time, composed mostly of TARP loans in the form of bank preferred stock, mortgage backed securities and U.S Treasuries, totaled $2.2T. 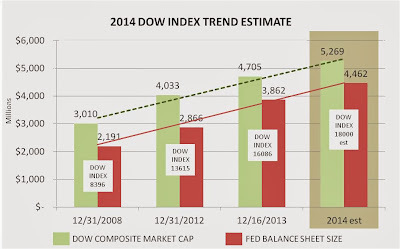 From the end of 2008 through the end of 2013, the market capitalization of the DOW and the expansion of the FED balance sheet moved upward in virtual lock step. It is more complex that this simple observation, but essentially the Fed program is driving funds out of Treasuries into stocks. Combine the shortage of Treasuries with increasing shortages of shares of Blue Chip stocks due to share buy-back programs, and you have a solid recipe for good old-fashion asset price inflation regardless of economic fundamentals. On December 17, 2013 the Federal Reserve Open market Committee (FOMC) announced a plan to gradually reduce the size of the current $1T bond buying program which was executed in 2013. The plan is estimated to still be very large in scale, at $500B to $600B, and the plan put forward calls for a reduction of $10B a month in purchases from the $85B present level until a more normal level of $10B a month is reached late in 2014. The caveat, however, is that the plan is “data dependent”. 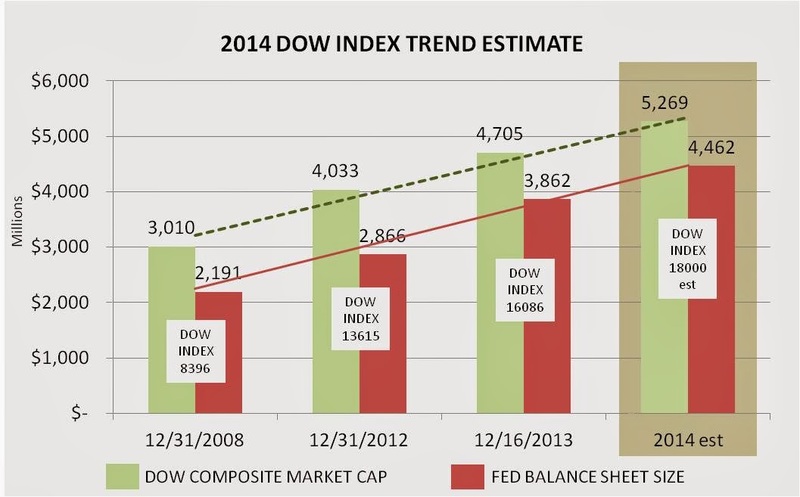 Using the trend line of the effect that the growth of the Fed balance sheet has had on the DOW over the past 5 years as a basis for extrapolation, the potential upside in 2014 for the DOW is estimated and shown in the graph. Based on pure momentum, the continued bond buying of over $.5T Treasuries (TLT) (TLH) and MBS securities in 2014 by my estimation can propel the DOW to 18000, up 12.5% from current levels. This estimate is reflected in the brown shaded area on the graph above. At a level of 18000 the 30 DOW companies on a composite basis will have a market capitalization of approximately $5.2T. The Fed balance sheet is expected to be almost $4.5T in size. The stated plan of the Federal Reserve is to continue easy money as long as the economy does not exhibit inflation above 2.5% and unemployment remains above 6.5%. I don’t have a crystal ball as to whether either of these will happen in the coming year, or whether they will even be a factor at the eventual point the market rolls over and corrects next time. In the year 2000 inflation was slightly above trend, and unemployment wasn’t an issue. The Fed was tightening in response to a different force projected from the international market – oil prices. At the time, the unsettled nature of the market was most clearly shown in the risk spreads in the credit market such as the BAA1 / 30 YR Treasury spread. Similarly in 2008 the price of oil was on a torrid upward trajectory, and the Fed responded by withdrawing market liquidity. In the 2008 case, the prescription almost killed the patient. At the present time the oil market is tame, and I find many investors becoming complacent in the U.S. with a view that the Eagle Ford and other shale oil exploration and production activities will be the end all for oil price escalation. Excuse me for this breaking news, private enterprises in the U.S. and anywhere else in the world are not run as charities. It is expensive to extract oil in these new ventures. Any upswing in world demand for oil outside of the U.S. driven by real economic activity will result in higher prices in the U.S., particularly since the U.S. is still importing much of the oil that is refined here because it better suits the U.S. refining infrastructure. An oil spike in 2014 is very unlikely, but activity in the oil market must always be monitored. The primary event which I am watching for potential impact on the markets in 2014 is Obamacare, a.k.a. the (Un) Affordable Care Act. This beast of a government program is going to sweep through the financial markets in some unexpected way in 2014. Is it a tax increase that will destroy consumer demand in 2014? Or, is ACA a government subsidization nightmare that will blow the budget estimates for the program? The later potential issue will probably not be known until later in the year as the switch-over for the business plans to the higher priced Obamacare plans is not slated until the fall 2014 enrollment period. It is that point, right in the midst of mid-term elections, that the stock market is likely to begin to digest what is really happening. The issue is important to investors for one very important reason – will it change the continued flow of funds into the stock market? If the government reverses the trend of borrowing less by spending a lot more, the pressure on interest rates will begin to become progressively higher. I suspect that Janet Yellen in this case will continue to supply more accommodation. However, eventually if the government is in fact spending more, and the excess reserves in the banking system begin to be tapped, history says that is the point when consumer prices, not asset prices, begin to inflate. As I also noted in one of my previous blogs, investing based on projected political outcomes is risky business. Unfortunately, the current market is most definitely the most government subsidized and controlled system in American history and investors need to manage their portfolio with a firm grasp of how these risks will eventually be signaled. 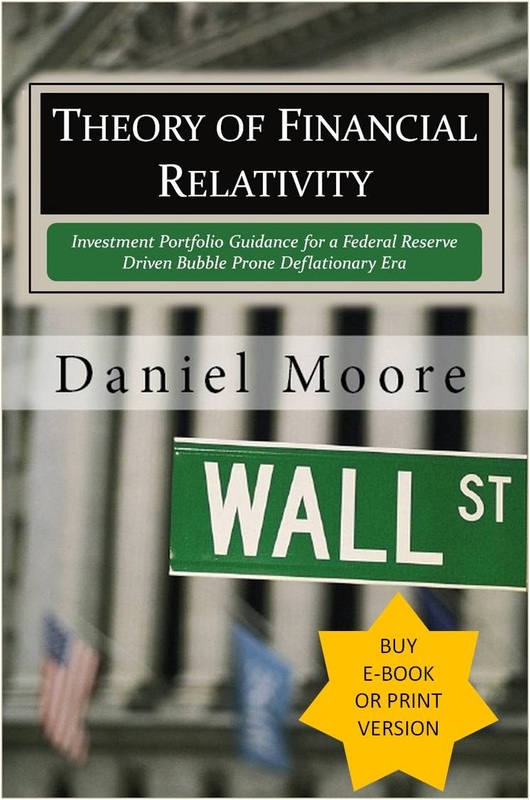 You can better prepare yourself for the inevitable by reviewing my recent book, Theory of Financial Relativity. Actually, It is a graceful and moder website about financial market.It is a very useful for us. So, I like it very much. Many many thanks for make this website. If you want more informastion about stock screener to visit stock screener stock Screeners are designed to allow you to quickly sort through or "screen out" only the stocks that have specific characteristic you are searching for. Many stock screeners allow you to search for stocks based on PE ratios, volume, market cap and other fundamental determinants. Other stock screeners include technical stock trading patterns that are commonly found such as triangles and wedge breakouts. It is continued and will be never ending in the coming future and this is how I use to take tips from epicresearch.co which helps me a lot.